1. Baer’s Reintegration Scholarship (note this is not related to the Eli Lily Reintegration Scholarship, which is sadly now defunct). The goal of this scholarship to help people pay for higher education expenses and the award money is paid directly to the educational institution attended by winning students. 2. Be currently receiving medical treatment for the disease, including medications and psychiatric follow-up. as clubhouse membership, part-time work, volunteer efforts, or school enrollment. 4. Be a US citizen and plan to attend a college / school in the United States. 5. Be 18 years or older. You can apply for the Baer Reintegration Scholarship here. 2. The Linda Lael Miller Scholarships are awarded to women who are 25 years or older. Usually the recipients of these scholarships are non-traditional students who have a difficult time finding scholarships for which they qualify. The scholarship funds may be used not only for tuition and books, but also for childcare, transportation and other expenses not covered by traditional scholarships. 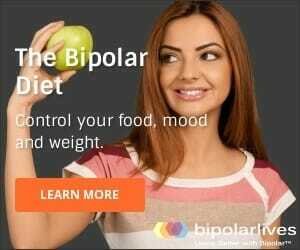 In the past bipolar women have been successful applicants. Linda Lael Miller is a writer and philanthropist who funds the scholarships through her own personal earnings. 3. The Charles A. Olayinka Scholarship is a very special award given to honor the memory of wonderful young man with bipolar disorder. It is an award of $1,000 and only requires submission of a brief essay so any student with bipolar disorder should definitely pursue this opportunity. Peace Charlie! 4. The Bipolar Lives Scholarship: Our very own! This was an award of a cash prize to a student enrolled in a United States college (undergraduate or post-grad, for example law school, MBAs, etc), community college, technical college, or trade school. Awarded from 2009-2014 and currently suspended but watch this space. The 2014 Bipolar Lives Winner Announced! 5. Global Mental Health Scholarships from the Massachusetts School of Professional Psychology (MSPP) are a little different. These are NOT explicitly for folks with bipolar disorder but they ARE for people who wish to enroll in MSPP’s Masters in Counseling Psychology and Global Mental Health Program. NAMI has Scholarship Information and Tips on their website. The National Alliance for the Mentally Ill (NAMI) has helpful information about college in general, and some good tips on bipolar scholarships. However, they do not have as many resources as one could hope for. NAMI mainly recommend using the major scholarship information sites to search for bipolar scholarships. For example, NAMI suggest FastWeb. NAMI do list a couple of scholarships not included above, but no bipolar scholarships for bipolar people in particular. NAMI also advise that as the majority of scholarships related to mental illness can be found at the state and local levels, it is wise to concentrate your research on local scholarship opportunities. The best place to start is through your your high school. Also, it can be helpful to work backwards. Make a shortlist of 5 colleges you WANT to attend, and find out what scholarships are available at from your preferred, targeted colleges. Wondering why I am no longer talking about bipolar scholarships in particular? After doing a lot of research to come up with very little, my main suggestion is look for college scholarships based around your interests and strengths – and make the bipolar just an interesting part of your story that shows you have worked extra hard and know what it is to triumph over adversity!